Enjoy mystery of pattern eyes with stars, heart shapes, buttleflies, tearful eye look and more! GEO Trend Circle Color Lenses series are available in a variety of colors and desgin pattern that meets the needs of any person from all ethnicities. 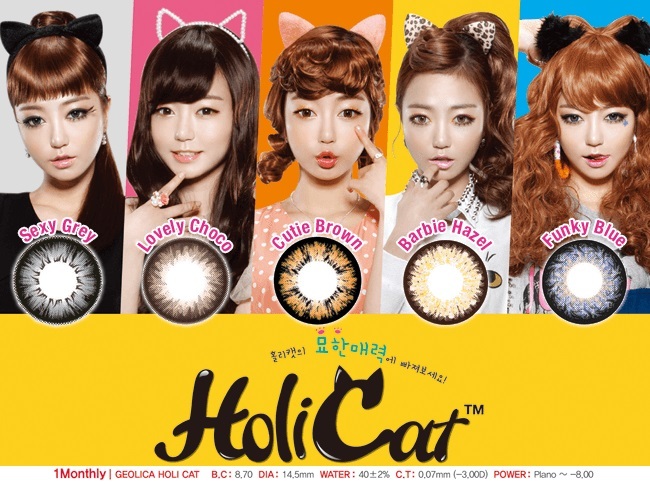 These Circle lenses make your eyes looks brilliant and attractive.! GEO Trend Circle Colour soft contact lens Series provides variety of design patterns and colours to meet the needs of global customers both of Western and Oriental. Trend lenses required additional time to process as they are unique and are now available on a made to order condition only, however we will always expedite order ASAP and their delivery status will be updated accordingly. 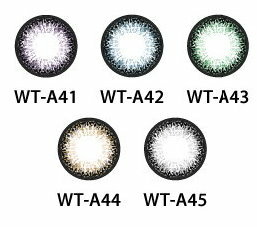 These NEW Super Trend Series of color lenses will present you even Exciting, wonderful, mysterious pattern on your attractive eyes. Geo Trend series - Fashion leader that enable splendid and characteristic look of your precious eyes! 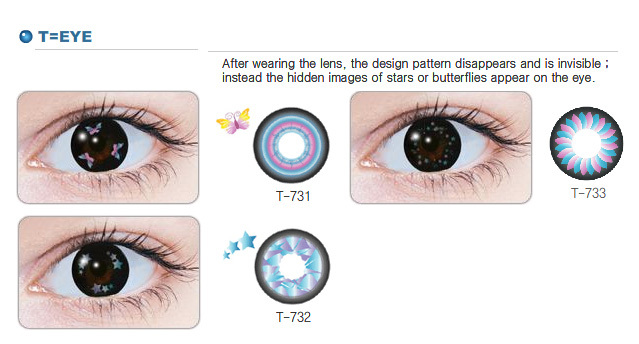 Enjoy mystery of pattern eyes with stars, heart shapes, buttleflies, tearful eye look and more! I absolutely adore the Tearful colored Circle lenses. They are huge and bright. They are also very luminescent and glossy, so I wouldn't pick these if you want a subtle tone. However, these circle lenses are gorgeous and I greatly recommend them for those who want a dramatic enlarging effect and a tearful effect to their eyes. You got to try it . 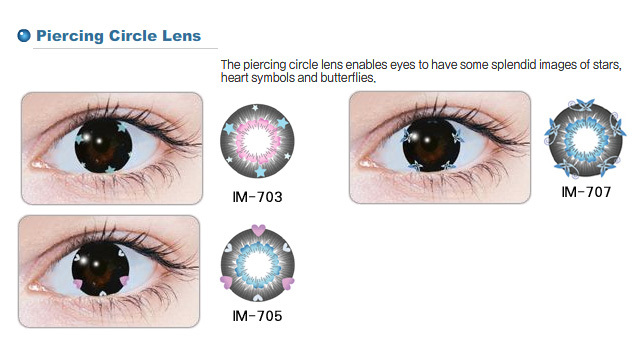 These circle lens with pattern is amazing ! I have try percing circle lens and got a lot of attention LOL .